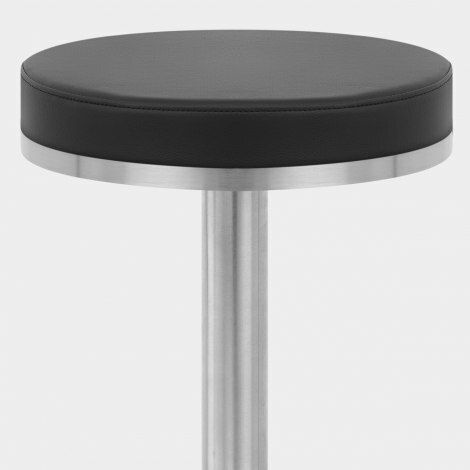 Add a dash of sophistication to your dwellings in the form of the Tuck Brushed Steel Stool Black. This muted marvel is fixed at dining chair height and offers a truly unique stool experience. Choose the Tuck Stool for a truly versatile item with chic style. The supple black faux leather seat pad invites you to slink into the Tuck, while its backless structure ensures that it's easy to store beside desks and at dressing tables. A brushed steel finish infuses the Tuck with an immense sense of refinement while finally, protective pads accompany the stool's flat base with a view to preserving floors. "Very happy with our purchase. Excellent Quality"
We tried to find stools that fitted into our new kitchen and came across these from Atlantic. The quality is excellent and great value for the money. They look fab and are very sturdy. They were easy to put together (so husband tells me) and the service from Atlantic was fantastic. We would highly recommend both the product and company to anyone looking for great service and items. Really pleased with these stools. They are easy to put together, comfortable to sit on, excellent quality and look amazing in my kitchen. Very pleased with this product. It's well made, sturdy and looks good. It arrived as a flat pack but it was very easy to assemble. I bought this bar stool some weeks ago. It was easy to assemble is well made and looks great.